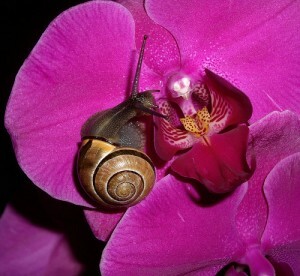 Snails and Fungus: How Do I Get Rid of Them? Excellent question—while high humidity can be ideal for growing orchids, it can of course have its downsides. I’m here to help with some tips for home remedies that will help you reduce your infestation issues. There are simple things you can do to help ward off fungus, and there are fungal and snail remedies that you might already have in your pantry! Let’s explore, shall we?